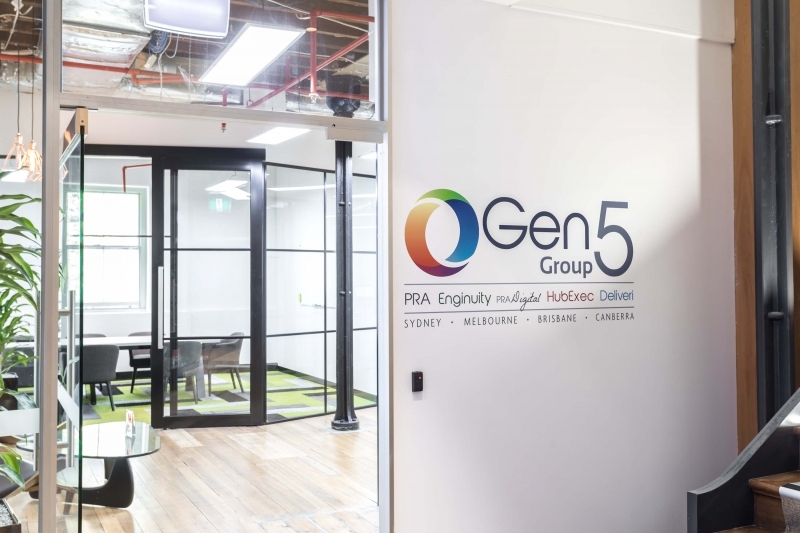 The Gen 5 Group is a collection of innovative privately held Recruitment companies. 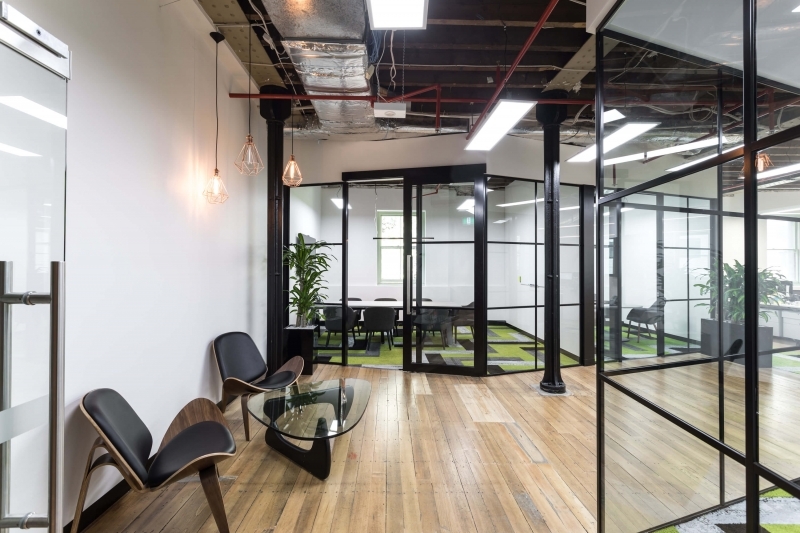 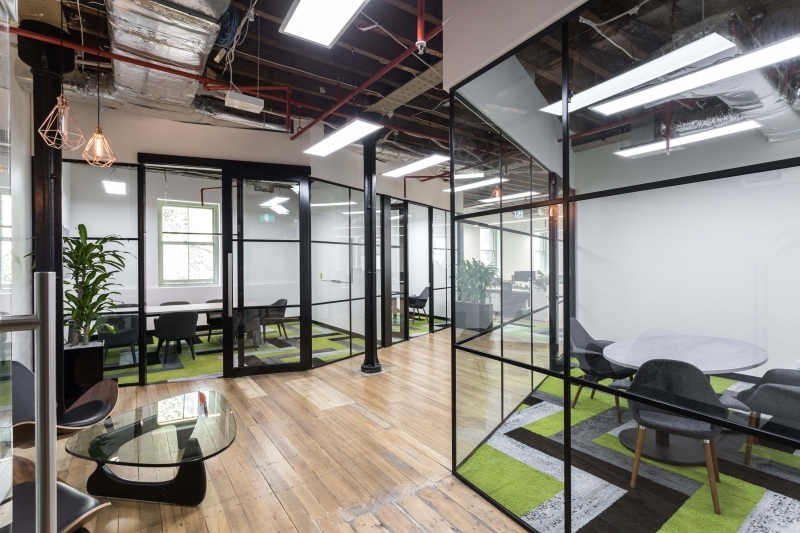 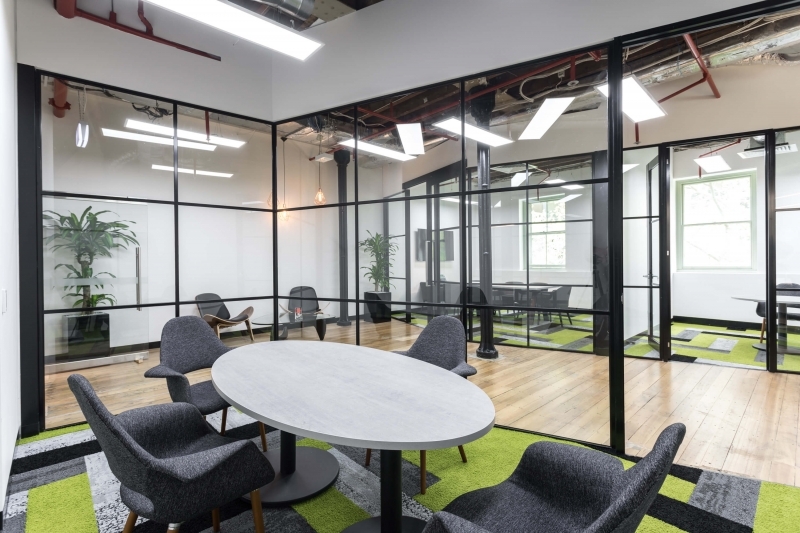 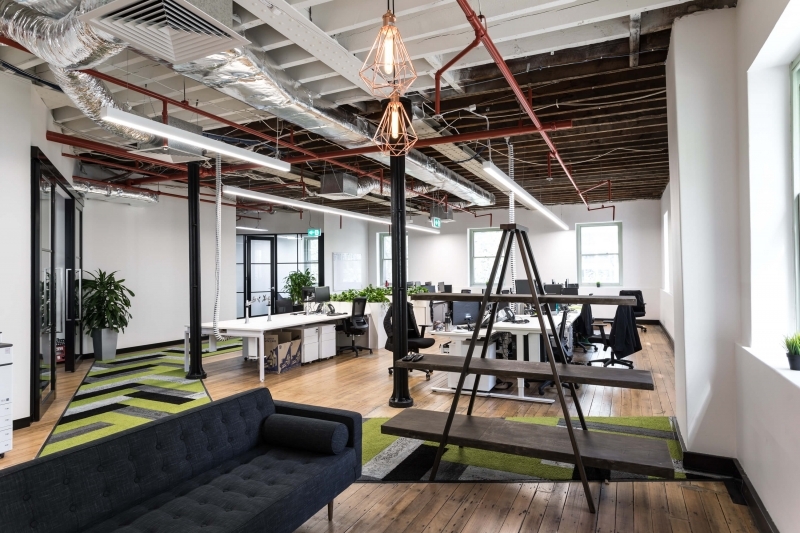 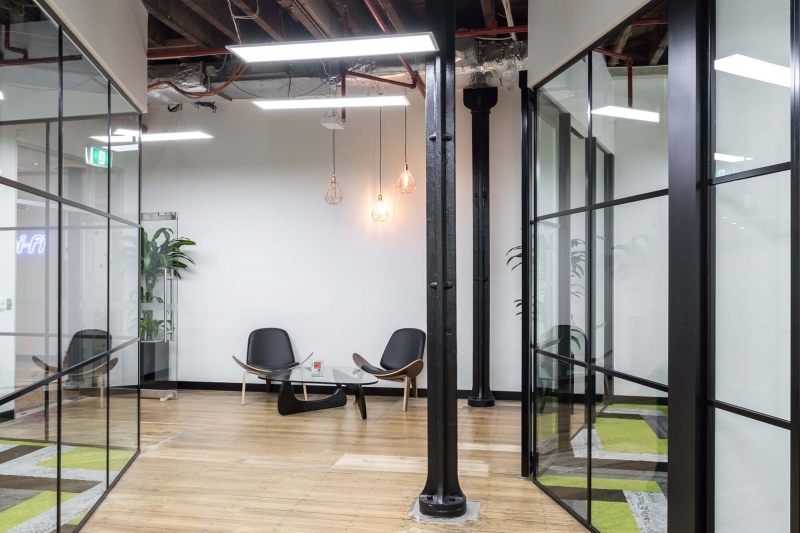 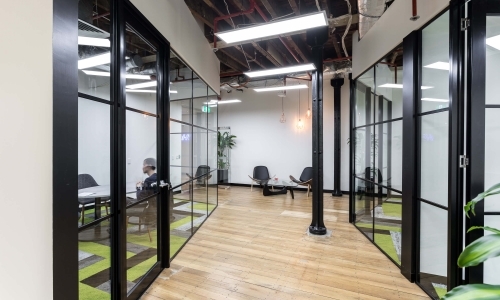 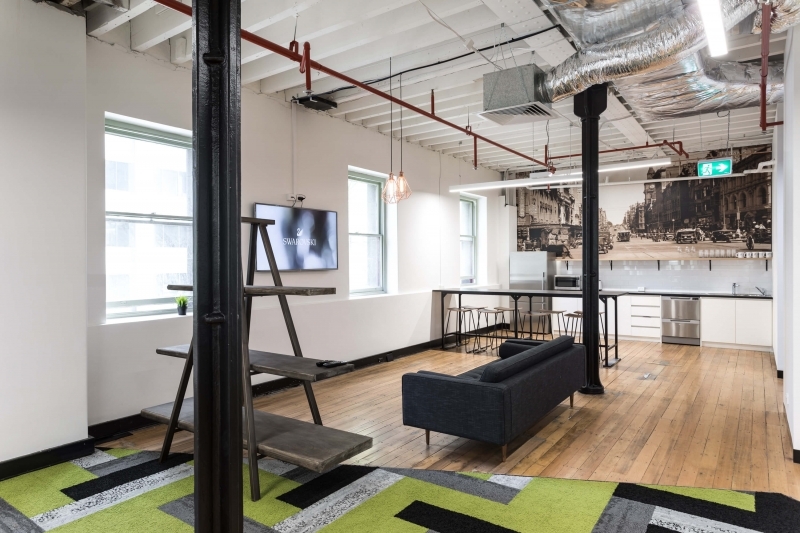 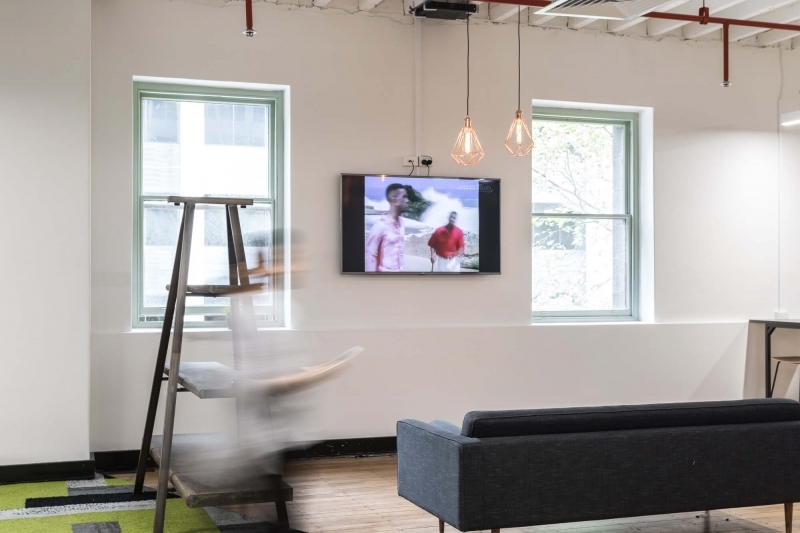 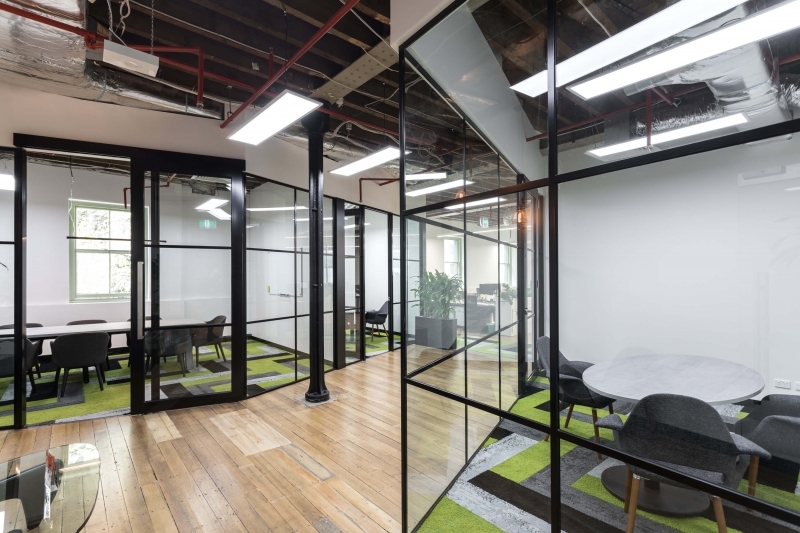 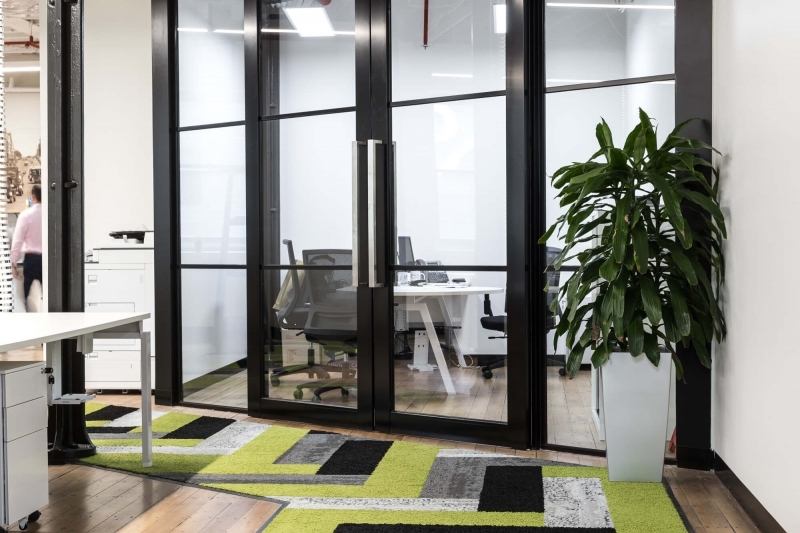 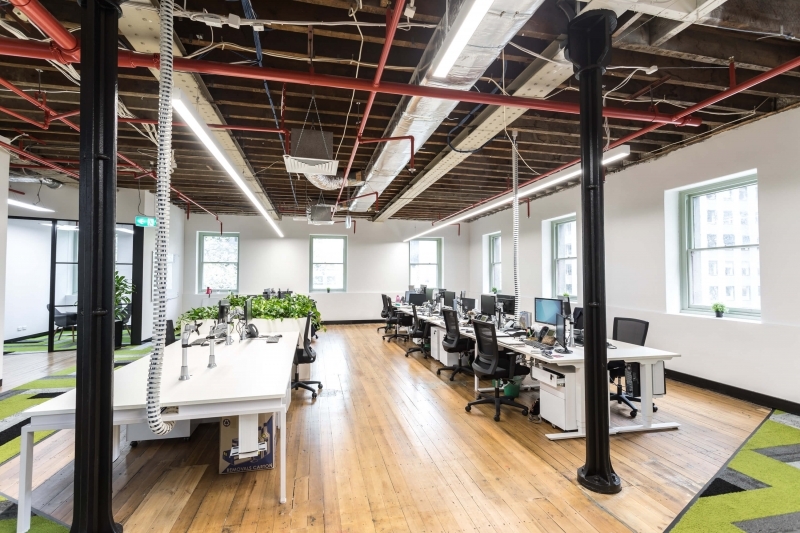 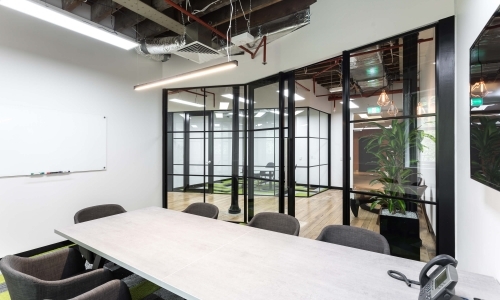 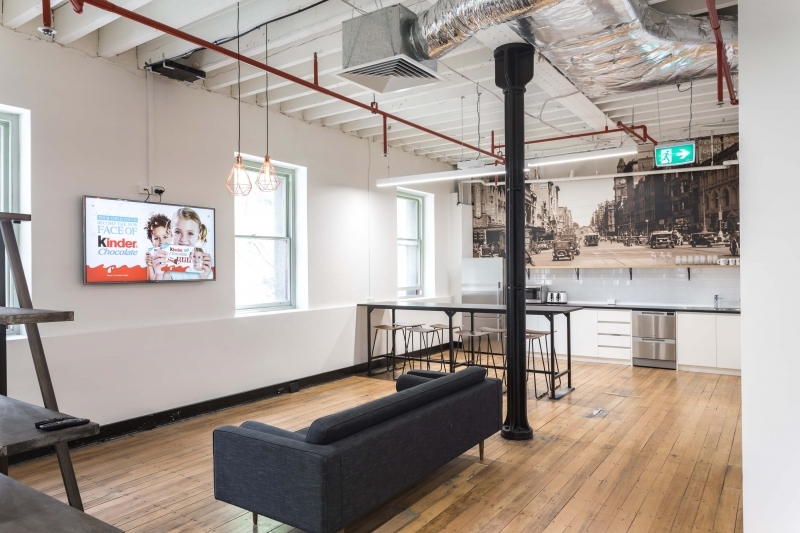 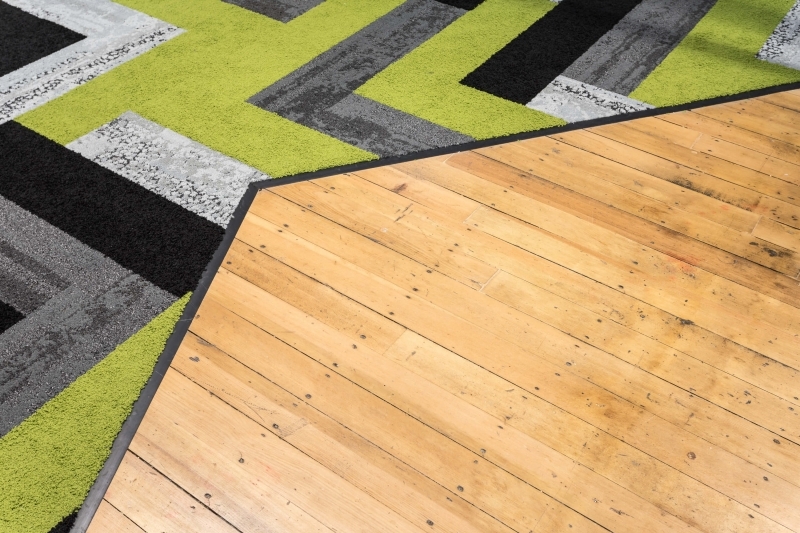 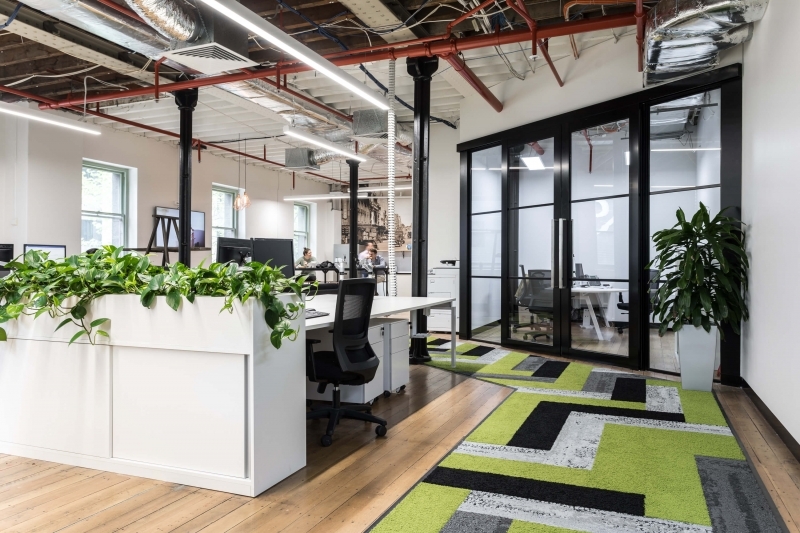 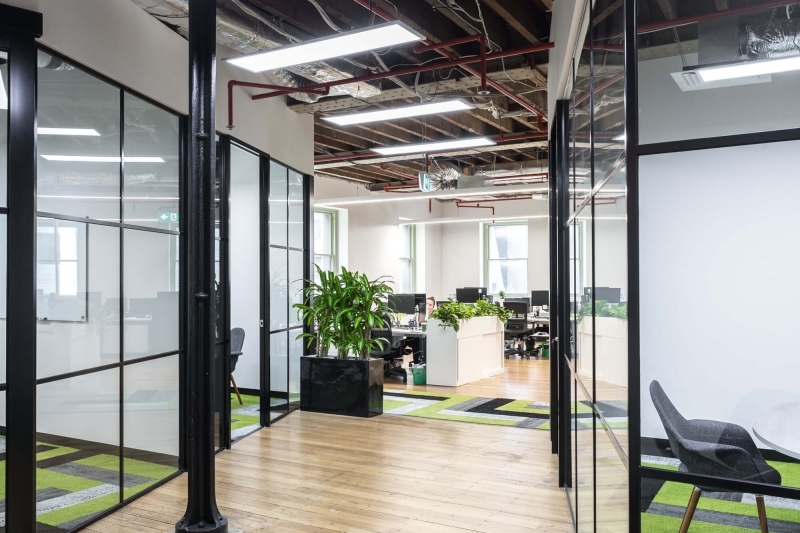 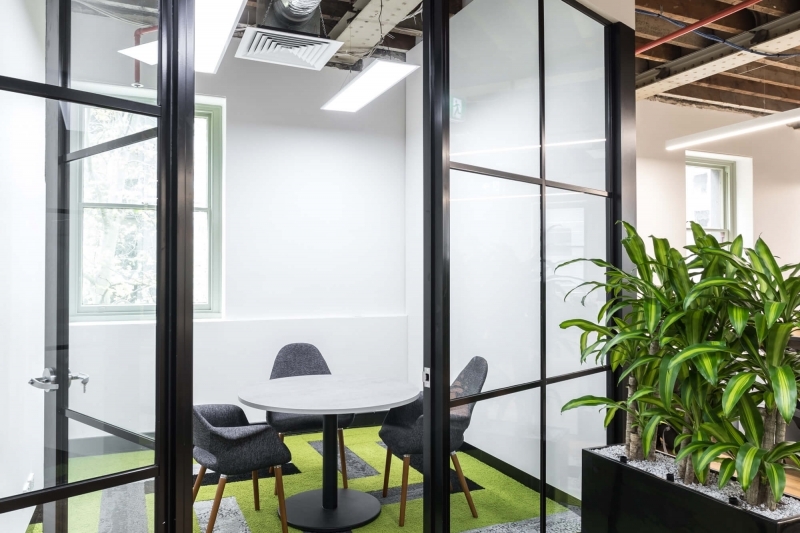 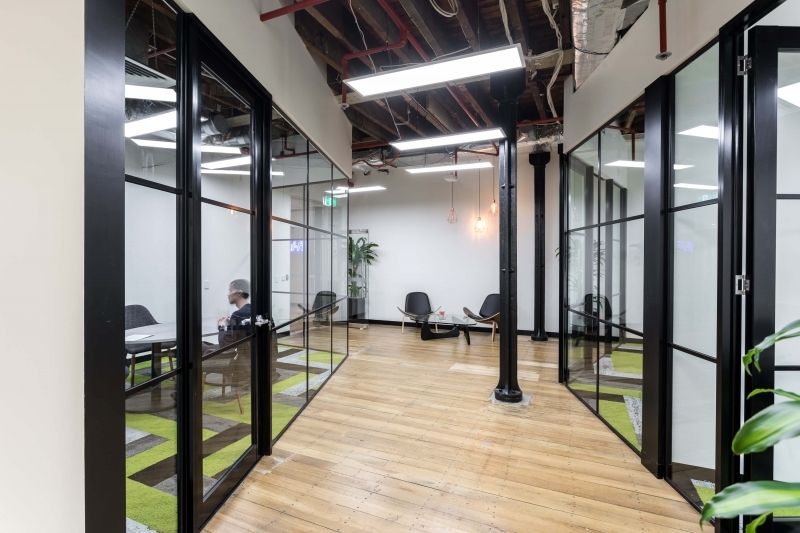 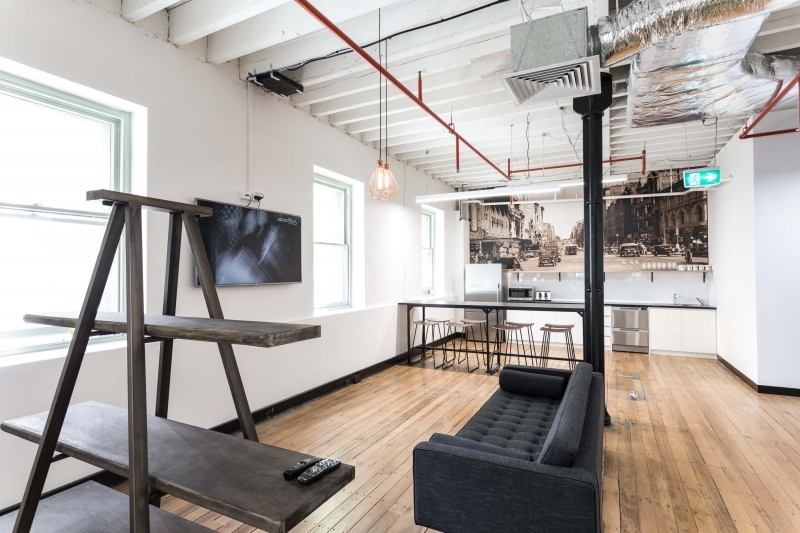 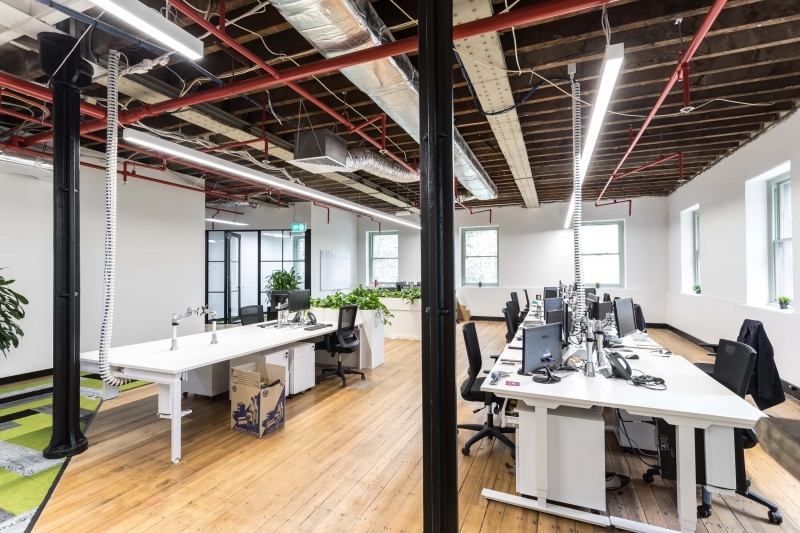 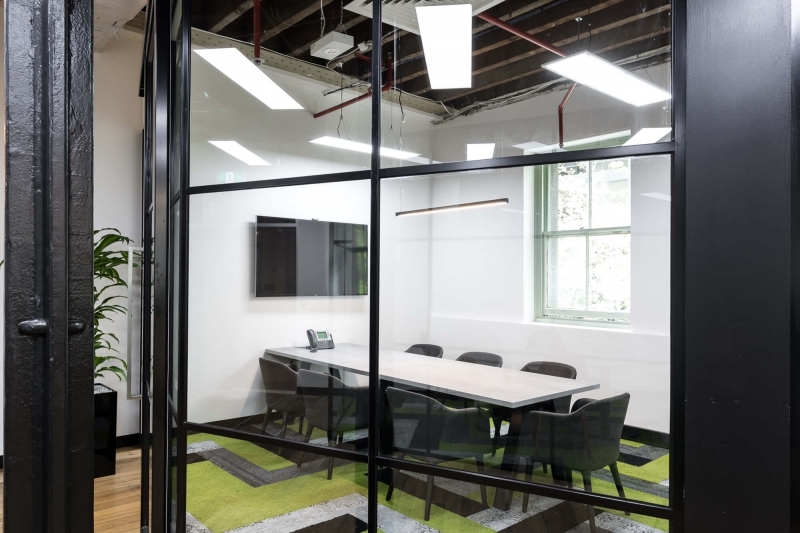 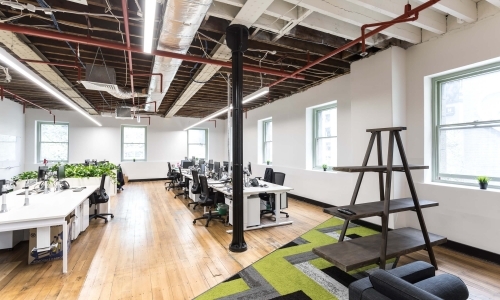 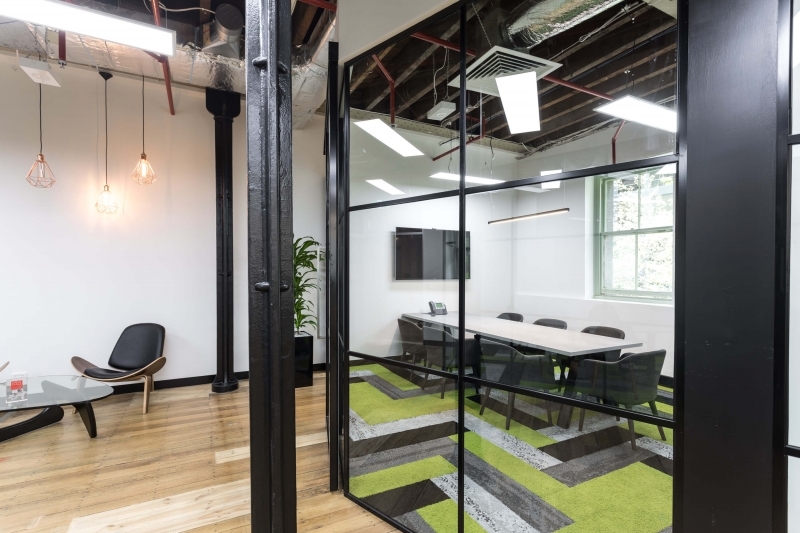 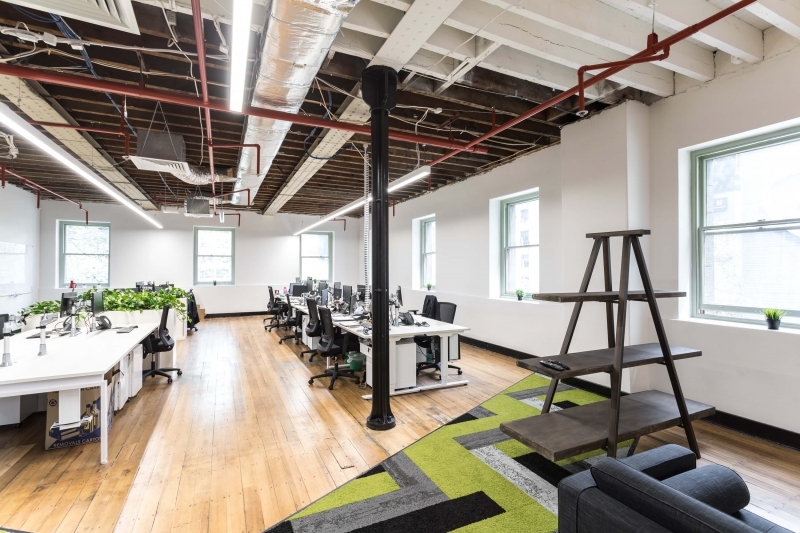 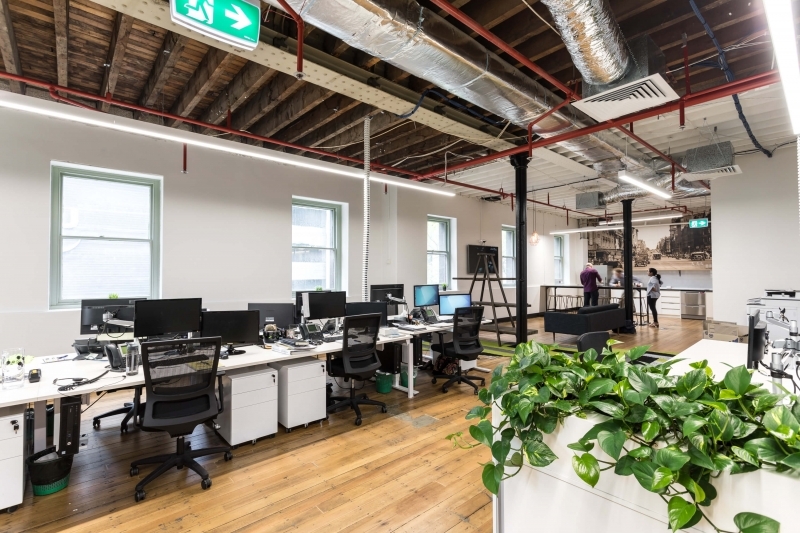 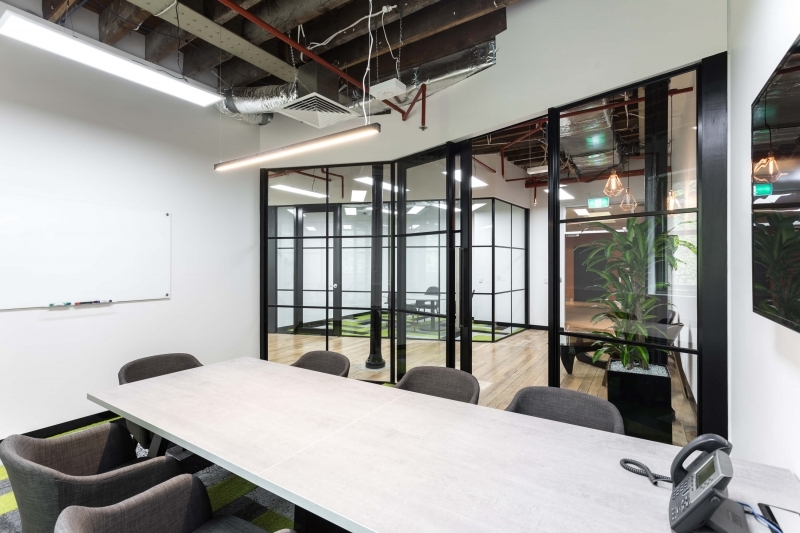 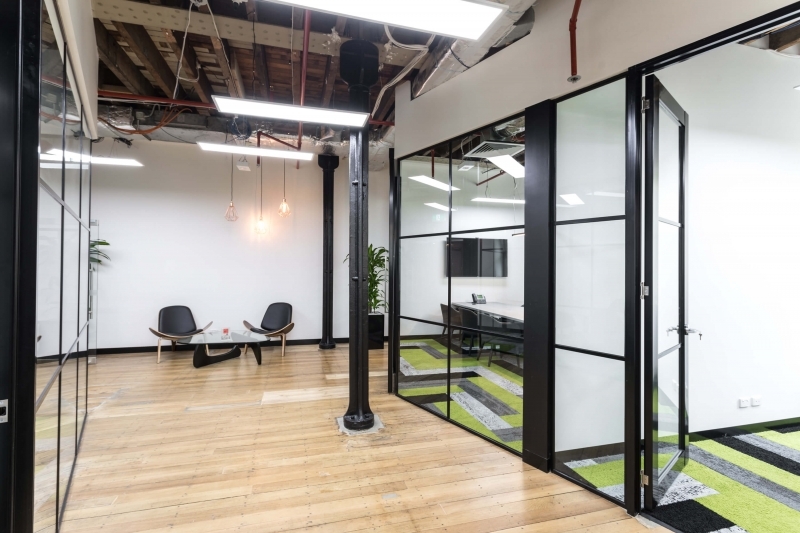 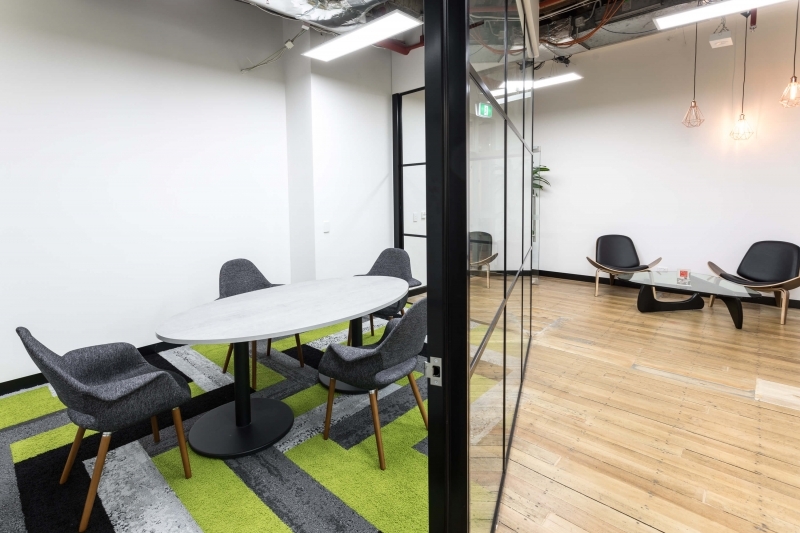 Their new location in Melbourne’s CBD in a landmark heritage building aimed to blend industrial with high quality Victorian architecture and history with their surroundings. 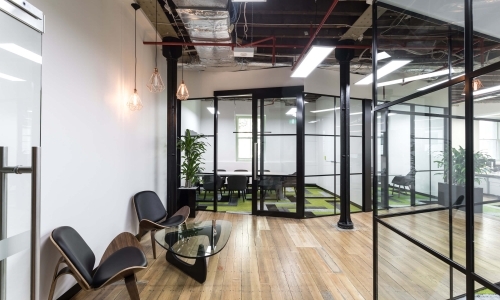 Combining these elements consisted of angled glasshouse black powdercoat glazed partition walls, concrete look laminate table tops, use of the original solid timber flooring, classic furniture, industrial rustic feature pendants, exposed ceilings/columns, sit/stand workstations, open kitchen with a historic Melbourne street scene feature wall with an industrial high bench and stools.